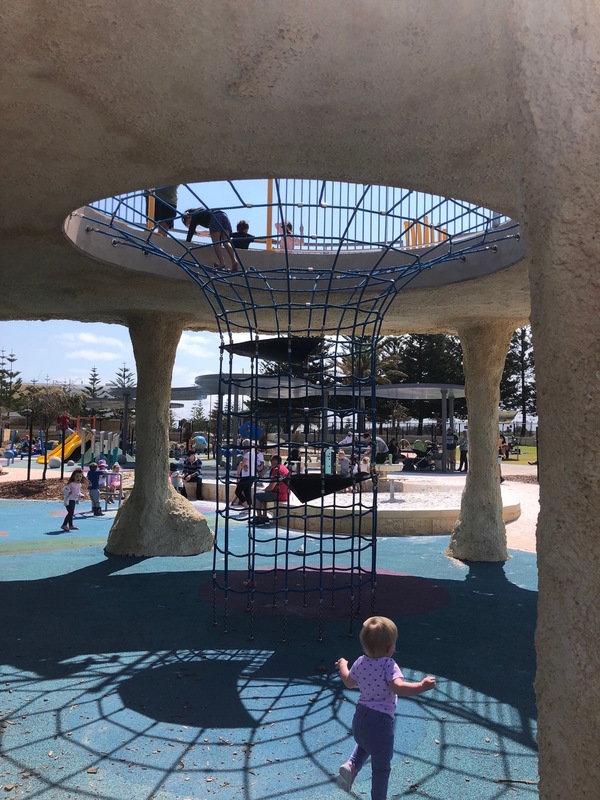 Even though it's been on my to-do list since opening, the Harbour Playground in Secret Harbour feels so far away form home and making a special trip with two tots in tow felt just about impossible. 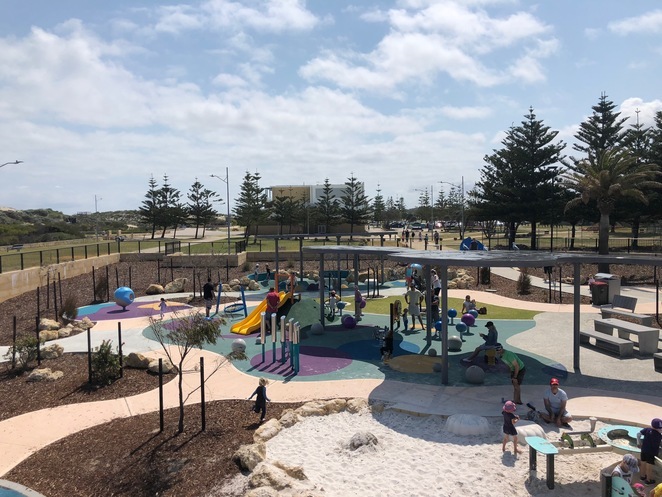 That was until we headed down south for a weekend, thus providing a fantastic stop for a play at this stunning all-abilities playground and to stretch the legs before you hit the home run of your return journey. Ok, so you will have to make a bit of a detour via the Paganoni Road exit if you are returning on the Forrest Highway and Kwinana Freeway, but this playground is worth it. The playground is, of course, also a fantastic addition to the local area and was a popular spot on the day we visited. It is tucked away on the Secret Harbour beach and is located next to the surf lifesaving club. 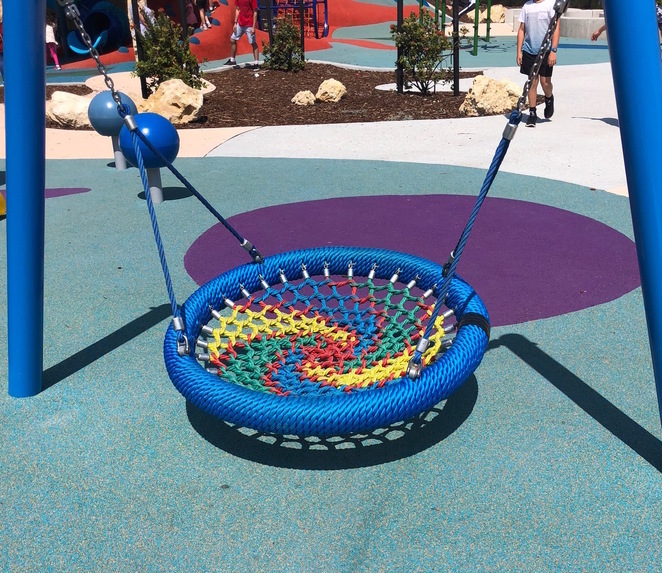 The playground is fully fenced and has a seemingly endless array of activities for the kids to do. It is also wheelchair and pram friendly. At the centre of the playground is an innovative play structure that is unlike anything I have seen. The kids can climb up the hill via rope steps or little climbing mounds, then slide down the slides or keep going to the play structure. Once at the top, there is an inbuilt, circular rope ladder leading from the top to the bottom. There is also a rather dark, twisting slide, plus some cool artwork the kids can stick their head through and get a funny photo! Older children and crazy toddlers like mine will definitely feel more challenged by climbing up to the top via the little rock mounds. You may see more than one parent nervously standing under their toddler, awaiting a fall. 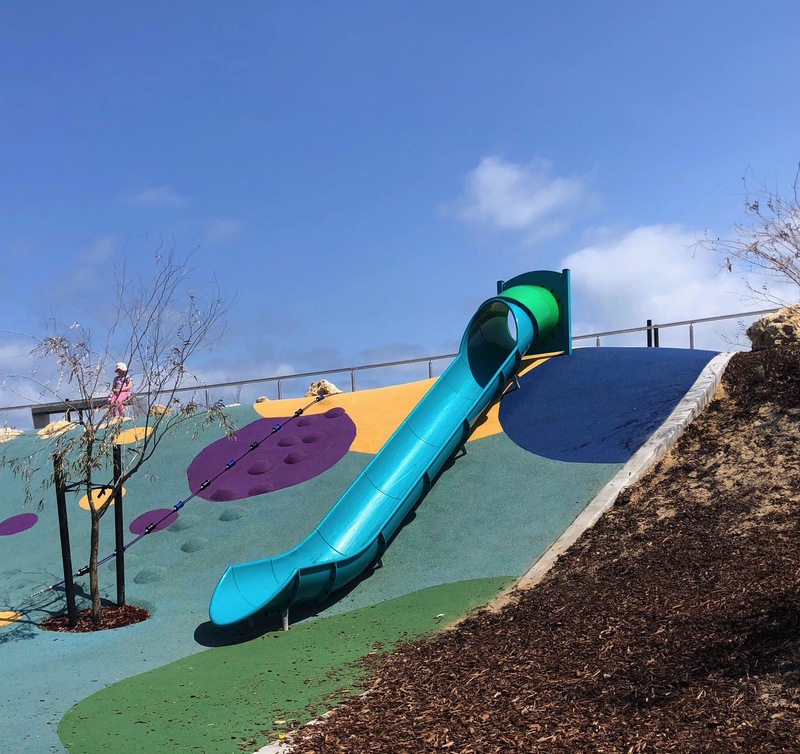 One little boy tried to climb up the twirly slide and got stuck up there, so you may want to keep an eye on your children. 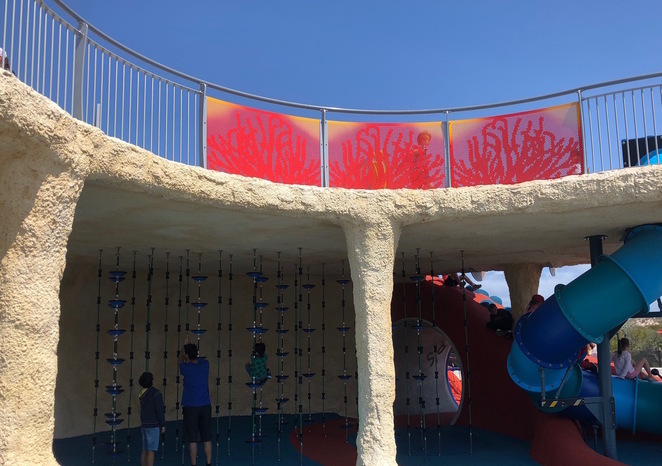 The top level is fenced and there are also things to do below, including some cool climbing ropes, a rope tunnel, a roundabout and a climbing frame. 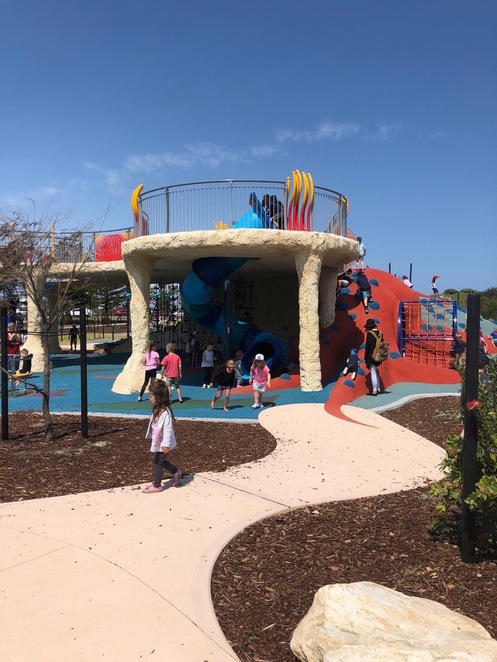 Next to the roundabout is sand and water play. 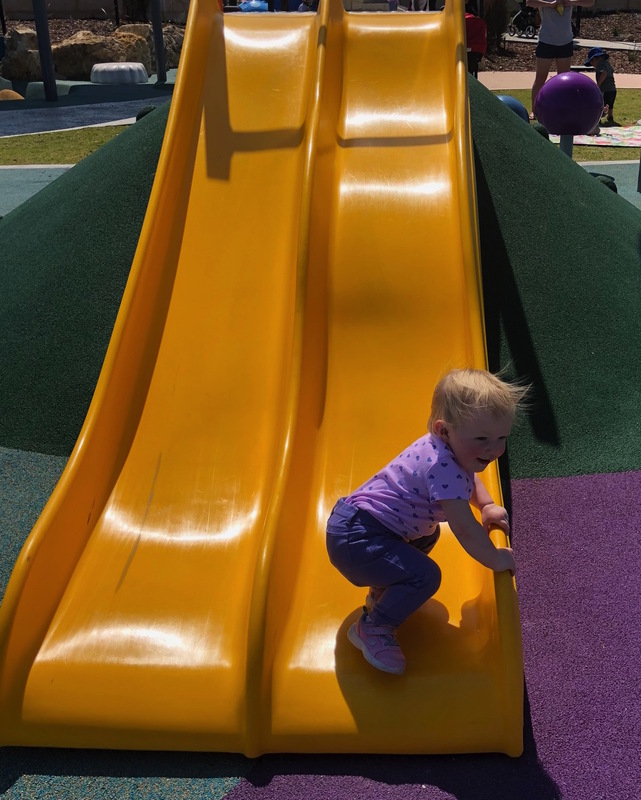 Opposite the main play structure is an area that is seemingly best suited to toddlers. It has a dual slide, musical play, sensory play, a small birds nest swing, little rockers and two little spinning cups. 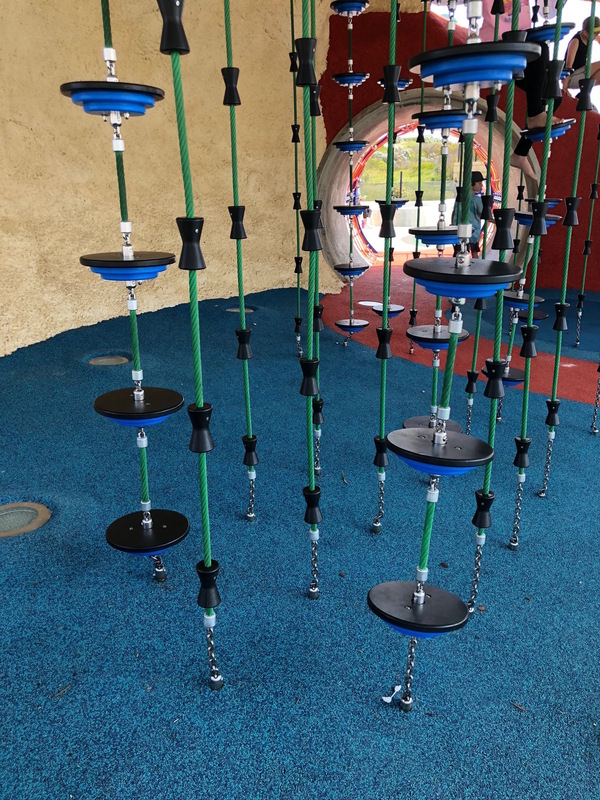 The playground also has a very interesting pendulum type swing, which is suspended between two pairs or pillars on ropes and slides back and forth. You will find undercover picnic tables and public barbeques for use. The closest toilets are just a short walk away from the playground at the Secret Harbour Surf Life Saving Club. There is also a lovely lawn to sit on and roll out the picnic rug, plus easy access to Secret Harbour Beach. 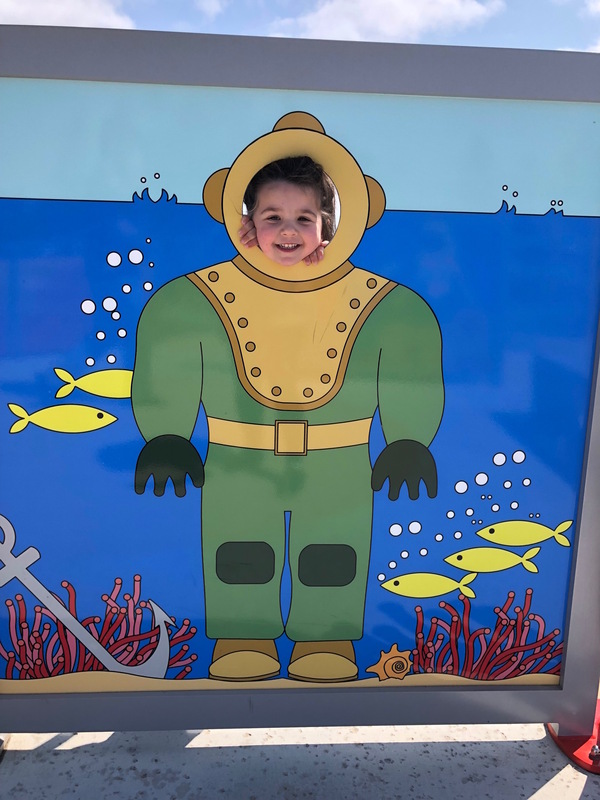 Whether you live close by or are coming home from a trip down south, the Harbour Playground is worth a visit to keep the kids entertained and the boredom at bay. Why? 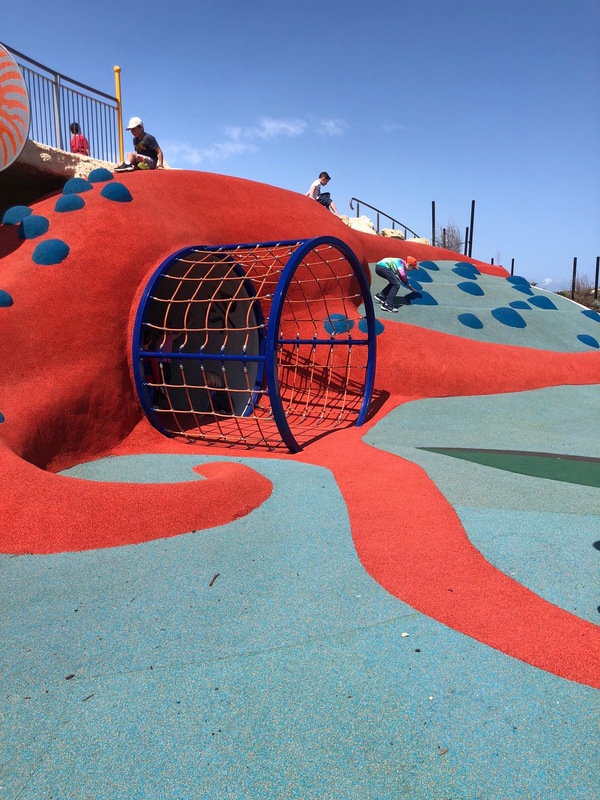 A stunning new playground next to the Secret Harbour beach.